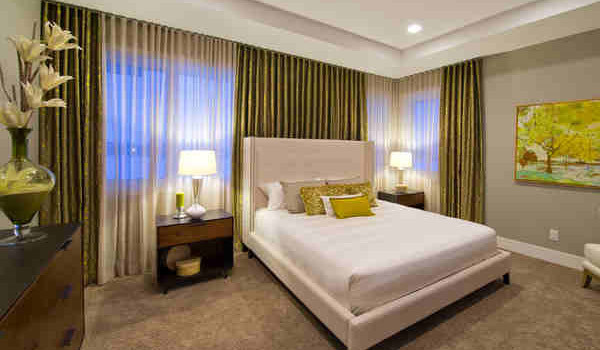 Like every bedroom, we would make sure that a master bedroom is comfortable and could give us utmost convenience. We see to it that everything that surrounds us would allow us to relax, rest and sleep. Aside from that, since there is no other room as personal as the bedroom, we try to decorate and design it in a way that we could express ourselves and reflect our personality. The same is true for a master’s bedroom. Oftentimes, this is occupied by the a couple who are the head of the family which explains why it is called that way. Before you start designing and decorating, you have to ask yourself what you want for the bedroom. What are the activities that you want to do in there aside from sleeping? Do you want to read or watch TV or work on the computer? Or do you want the place to be exclusive for resting? Your activities can also tell you what kind of furniture and lighting you need. 2. Add furniture depending on your needs. Once you have determined what you need in your space, you will also know what furniture is needed in order to satisfy your activities. You may add additional seating if you want to. Most of the time, it could be a bench placed at the foot of your bed or if there is more space, a lounge chair can be added to a certain area. Bring in other furniture like a side table or a desk or anything that you need. If you work in the computer while in the bedroom, a desk would be good to have. Also, avoid filling the space with too much furniture for it will make it appear cluttered, crowded and overdone. 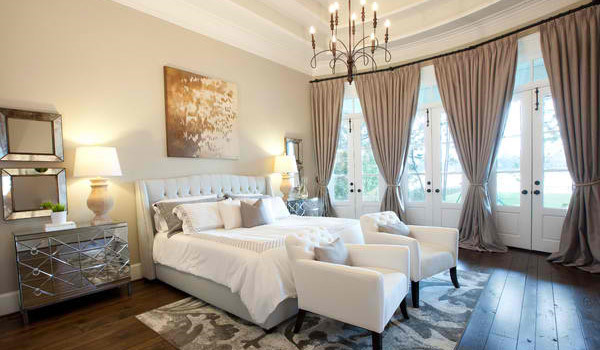 Lighting in the bedroom isn’t just for illumination but it can also be good for creating an ambiance in the bedroom. Use lighting to add soft and warm aura that encourage relaxation. You can also add task lighting which you can use while reading or for sitting areas, bedroom vanity and walk-in closets. Add a dimmer switch to your lights too so that you can control the amount of light you want for the bedroom. 4. Let natural light in. The bedroom will be a better place to stay in with natural light in the morning. Sunlight will make the place healthy and you will feel even more relaxed with it. Consider adding large windows or even sliding doors that lead to a balcony if you have one. This way, you aren’t just allowing natural light to get in but you are also giving yourself a chance to see the wonderful views outside. 5. Define and separate spaces. 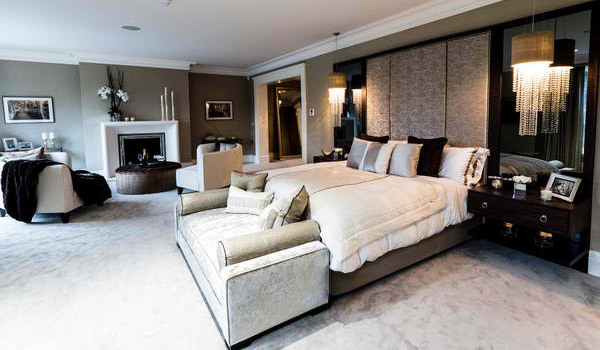 Since the master bedroom is used with a partner, you have to make sure that each space is divided to accommodate the needs of each other. Allocate separate storage spaces so you can store your clothes and other belongings in a different area to avoid confusion and conflict too. You can also allocate a space for one’s needs like a reading area or a work area so that both of you can utilize the bedroom well. 6. Decide on the style. There are different styles you can choose from. As usual, you can get inspiration from magazines and online websites like Home Design Lover that feature various lists and ideas for you. But you can’t just get want you want. You have to consider the architectural elements of your home and if your style doesn’t fit the space, just add some elements that direct the style you want to strike a balance in the area. 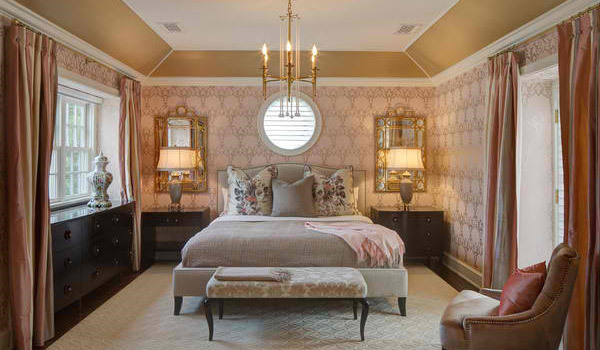 Of course, you don’t just pick any color for a master bedroom because it is occupied by both a male and a female. You don’t have to paint your bedroom pink because there are thousands of colors available that will also fit for a man. You can go for neutral shades or colors that appeal to both of you like blues or beiges. It would be better if both of you will choose the colors. 8. Add a gallery or accent wall. You can make your bedroom look more beautiful with a gallery or an accent wall. Big blank walls will make a room feel under-scale and empty, so make sure that you will add something to it. A framed photo, a mural, wallpaper and others would be great to make a wall look pretty. You can also decorate the headboard as well. 9. Play with patterns and textures. Don’t be afraid to play with patterns and textures. You don’t have to be matchy-matchy all the time. Like you can pair a floral bedding with a striped one as long as your colors coordinate. Mixing patterns and styles could spice up your space. Add some soft touches too with a faux fur pillow or throw pillow or even an area rug. 10. Decorate for more glam. 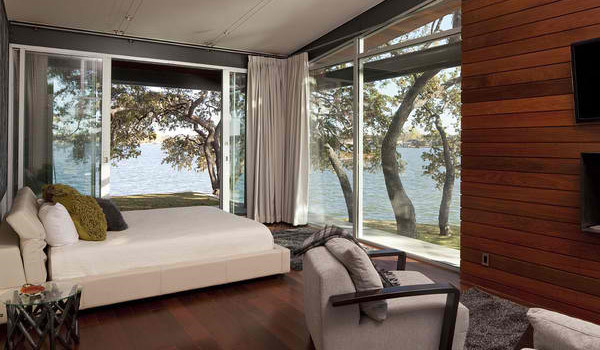 Decorate the master bedroom but do not overdo it. There are no rules in decorating, so express yourself. Balance the elements in your decor to get more glam and style in your personal private space. You can even showcase personal collections, keepsakes and memorabilia in here. Those are our tips and tricks for you to get a well-designed master bedroom but I know there is still more. And some of these tricks will be discovered by you as you start decorating. Remember not to be so focused in matching stuffs because this will make decorating boring and kind of strict. Don’t be afraid to put some mismatched pieces together. Sometimes, this creates more an interesting appeal to your bedroom. Also, don’t forget to buy comfy bedding set so you will get a good night sleep with your partner.